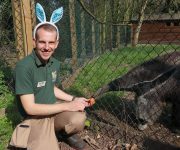 We’re getting egg-cited for Easter Day and giant anteater Bubbles has already been tucking into some egg-stra treats! 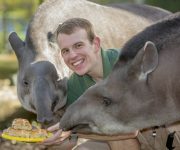 Keeper Josh Luxton allowed the one-year-old anteater an early Easter egg, which he lapped up in seconds! 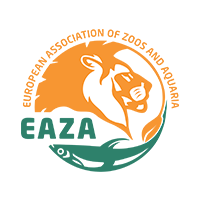 Curator Richard Brown said: “Many of our exotic species enjoy eating eggs as part of their varied diets and they’re … Continue reading Egg-stra treats! 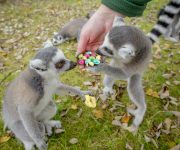 We’re looking forward to a cracking Easter with the relaunching of Lemur Wood and baby animals aplenty! 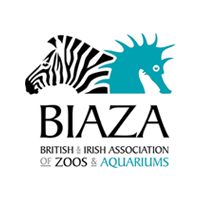 We’re gearing up to reopen the one-acre walkthrough exhibit on Saturday which has undergone a £100,000 revamp and is home to more than 20 free-roaming rare Madagascan lemurs. 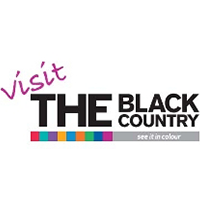 Marketing Manager Andrea Hales said: “We have plenty going on … Continue reading A cracking Easter! 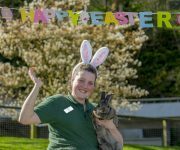 An egg-ceedingly Happy Easter to all our visitors and amazing animals – especially our latest addition, Windsor the Barbary lamb. 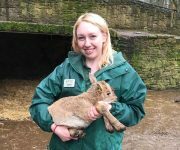 The baby Barbary sheep – our first of the year – was born exactly a week ago as Senior Keeper Laura Robbins was cleaning out the paddock. Windsor was named by keepers earlier this week … Continue reading Welcome Windsor! 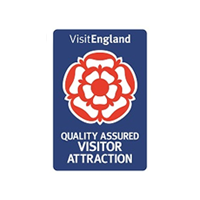 With many schools breaking up for Easter today, it’s an egg-cellent time to play at DZG! 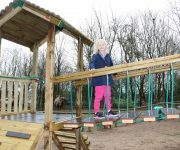 We’ve had impressive new play equipment installed at two of our play areas, just in time for the holidays. And first to try it out was seven-year-old Rebecca Bailey from Bath, whose school holiday started even earlier. The new … Continue reading School’s out! 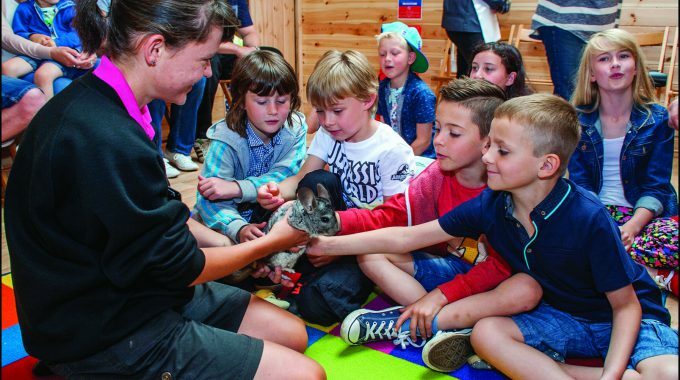 DZG has a cracking variety of activities lined up for our Easter visitors including new play equipment, fun on the Farm and egg-stra talk times about our amazing animals. 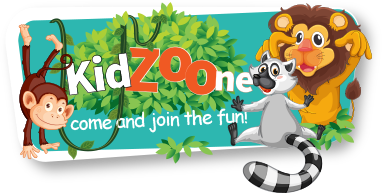 As well as our latest animals – baby bats and the recent addition of a new species to DZG, naked mole rats – two play areas … Continue reading We’ve got Easter cracked! 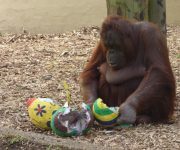 Primate keepers made sure Bornean orangutans, Jazz and Sprout, weren’t left out of DZG’s Easter celebrations. 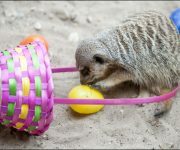 Keeper Sian-Leigh Simner, made colourful egg-themed enrichment, so the pair could enjoy their own egg hunt – orang style! 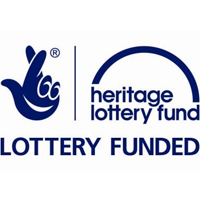 Sian-Leigh said: “I made papier mâché eggs, which we filled with pieces of their favourite fruit and primate pellets, before … Continue reading Hunting for eggs! 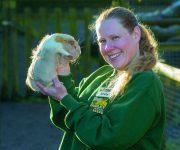 DZG’s young visitors have the chance to win an adoption of giant rabbit, Maisie, this Easter – how egg-citing! Visit the farm barn and get crafty with our holiday colouring competition, as a year-long adoption for the beautiful bunny – who tips the scales at a whopping 14Ibs – is up for grabs! Marketing Manager, Andrea … Continue reading Meet the Easter bunny!